A Real Birmingham Family is a public artwork and sculpture by Gillian Wearing. It was cast in bronze in China in 2014. It is located in Centenary Square by the Library of Birmingham. It depicts two local sisters, one pregnant, and both single mothers, with their two children. 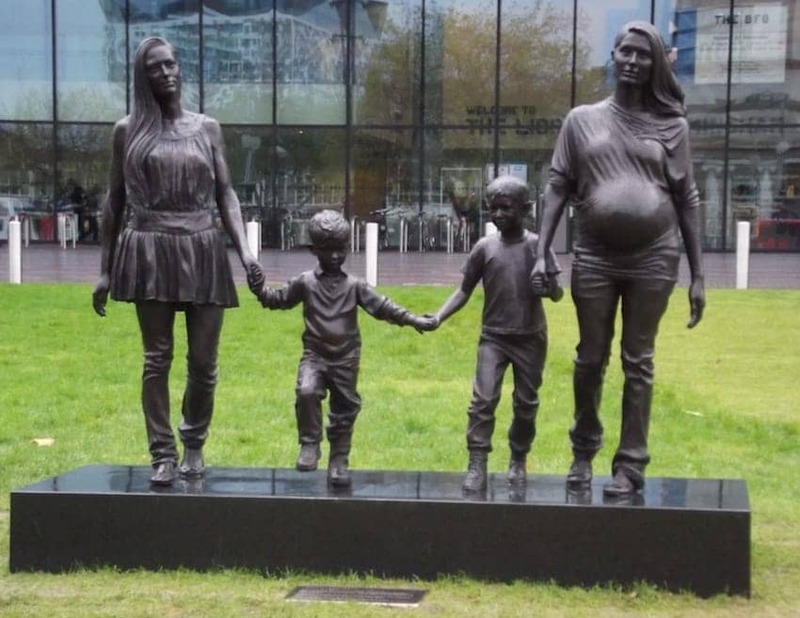 The artist sought to show the idea through this sculpture that what constitutes a family should not be a fixed notion of the traditional nuclear family. A genuine local family was selected to model for the sculpture because of their very strong bond of friendship and family and the connectedness between them.